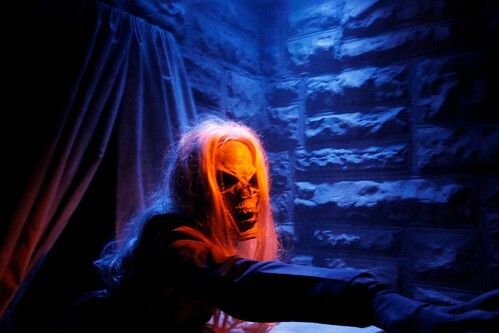 After sharing three haunted house announcements with Universal Orlando, Universal Studios Hollywood has set out on its own to reveal their fourth maze for Halloween Horror Nights 2012. 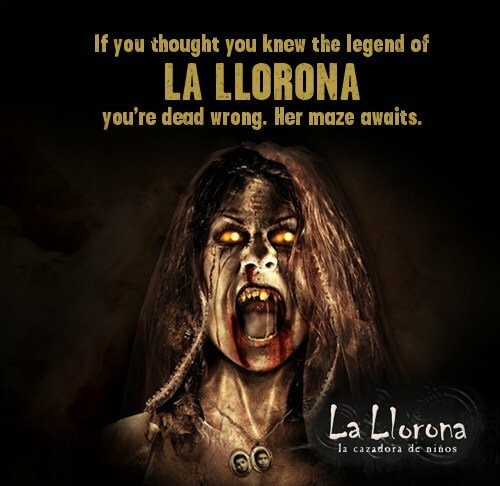 It will be the second year Universal Studios Hollywood has featured a mazed based on the Mexican legend, making its house debut last year with strikingly creepy visuals. 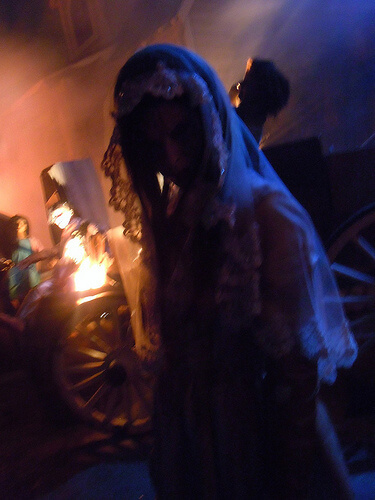 Before that, La Llorona was first introduced to the event in a scare zone in 2010. Universal Studios Hollywood also today released the official event dates for this year’s Halloween Horror Nights: September 21, 22, 28, 29 & October 5, 6, 7, 12, 13, 14, 18, 19, 20, 21, 25, 26, 27, 28 and 31. Cool – Looks like some pretty scary stuff! Love a good horror maze.